This boat is in great condition for her age. Spent 90% of its life in freshwater! Original owners moved the boat from Colorado to Florida in 2017. Approximately 335 of her current 350 hours were freshwater use only. Hard to find one nicer. 458 hours on Kholer 5kw generator. New canvas, interior completely custom remodeled. The owners have used this boat less than a dozen times since purchase. She is ready for a new home! Hook up the optional steel tri-axle trailer that also fits two jet skis and take her anywhere on your next family adventure! MOTIVATED SELLER! PLEASE BRING REASONABLE OFFERS ONLY! Stock #146330 Beautifully Maintained! Low Hours! Freshwater Only Boat Until 2017! Ask about Optional Custom Trailer ! Motivated Seller! Boat Must Go! Make Offer! If you are in the market for an express cruiser, look no further than this 2004 Sea Ray 300 Sundancer, just reduced to $55,000 (offers encouraged). 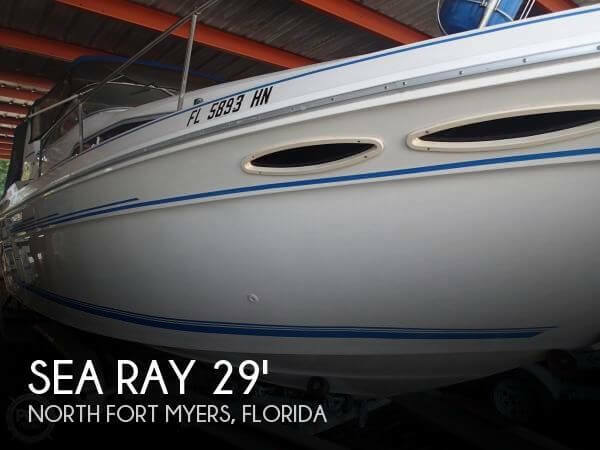 This vessel is located in Sarasota, Florida and is in great condition. She is also equipped with twin Mercruiser engines that have 350 hours. Reason for selling is not using enough. According to the seller, this unit is in very good condition. We have not yet been on this particular unit yet. All information in this listing is believed to be accurate and correct but at the present time has not been personally verified. We encourage all inquiries and questions relating to its present condition, the accuracy of details including but not limited to its location, engine hours, service history, listing status and features. Stock #164602 Sea Ray 300 Sundancer with new upholstery and low hours! If you are in the market for an express cruiser, look no further than this 2002 Sea Ray 300 Sundancer, priced right at $44,400 (offers encouraged). This vessel is located in Revere, Massachusetts and is in good condition. She is also equipped with twin Mercruiser engines that have 610 hours. Reason for selling is sellers' change in plans forces this sale. Shiny gel coat and perfect condition of the cockpit upholstery are the first sign of a well-cared for cruising boat. Camper canvas enclosure and bimini tent are new. Helm controls are crisp and gauges are bright and clear. The engine compartment is spotless; engines appear to be well-maintained. Below deck, you will find shiny rosewood cabinets, plush carpets, and supple cushions. The cabin is exceptionally clean; bilges are dry. 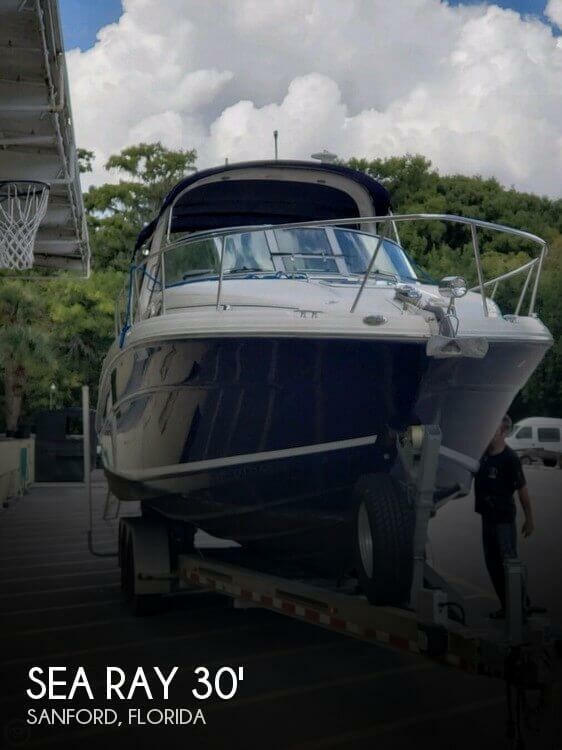 Stock #170423 Luxury family cruiser equipped for a fun family weekend on the water Reason for selling is upgrading to a 45' motoryacht. Complete refit in December 2017. New manifolds and risers, new transmission, both engines tuned up. V-drives and shafts serviced, new bottom paint. Cockpit cushions look OK; cabin cushions are new. Per the Seller: Everything works, even the electric windshield vent. Stock #148758 Spacious family cruiser with generator and air conditioner If you are in the market for an express cruiser, look no further than this 1996 Sea Ray 300 Sundancer, just reduced to $22,500 (offers encouraged). 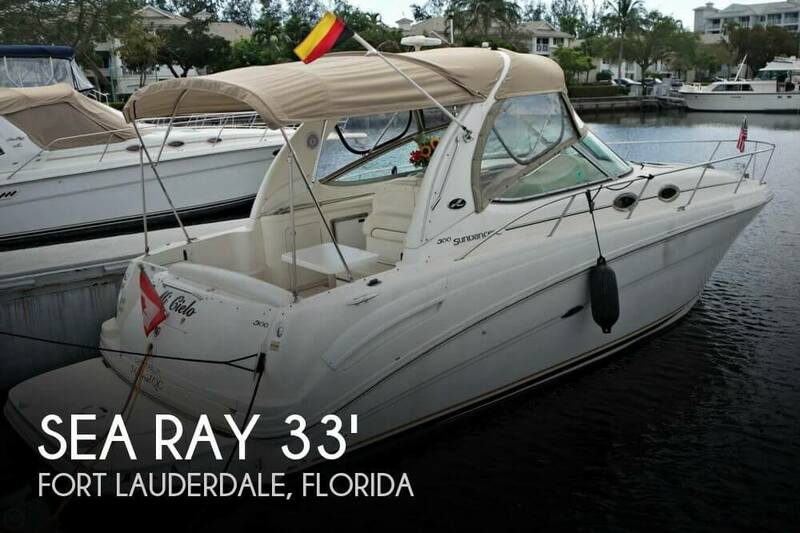 This vessel is located in Deerfield Beach, Florida and is in decent condition. She is also equipped with twin Mercruiser engines that have 1,050 hours. Reason for selling is just purchased a larger boat. Good Mechanical condition, Everything is believed to be in working order. The water heater has not been used, so that one item has a question mark. Cushions overall are soft and appear in good shape. Cockpit area needs little TLC, Cabin is clean and no water leaks spotted! The owner states one engine had a long block replaced by prior Owner, and estimates less then 300 hours on that. 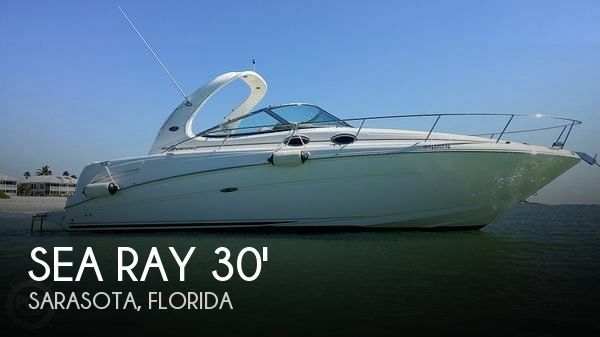 Stock #158246 A beautiful well maintained SeaRay! Excellent condition. Includes central air! 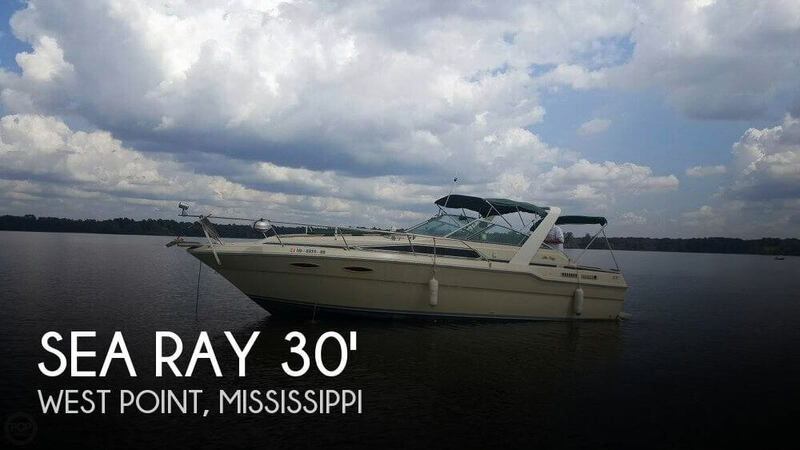 If you are in the market for an express cruiser, look no further than this 1993 Sea Ray 300 Sundancer, priced right at $44,500 (offers encouraged). 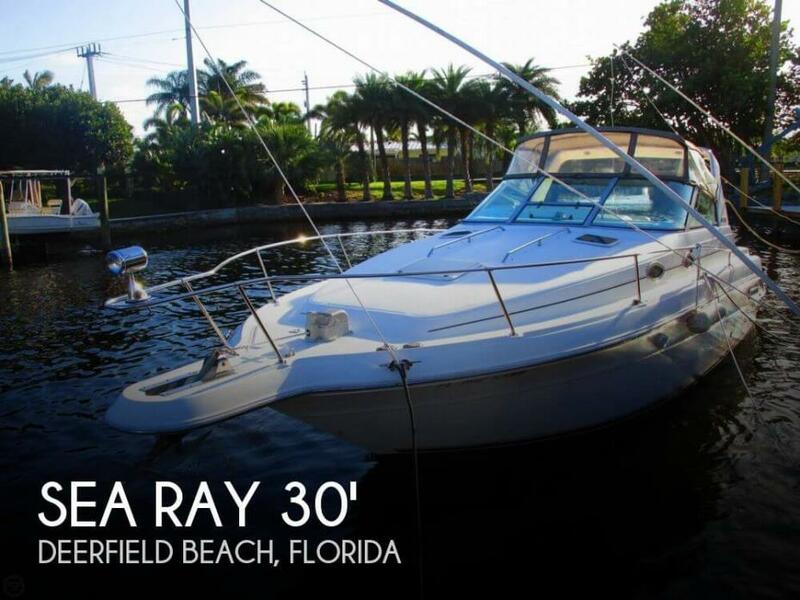 This boat is located in North Fort Myers, Florida and is in decent condition. She is also equipped with twin Mercruiser engines that have 1,200 hours. Reason for selling is too many toys. all very well maintained!. Please do not hesitate to contact me with any specific questions you may have, to submit an offer, or schedule a showing. Stock #150937 *** REBUILT MOTORS IN 2017 WITH LESS THAN 50 HOURS *** MOTIVATED SELLER *** If you are in the market for an express cruiser, look no further than this 1986 Sea Ray 300 Sundancer, just reduced to $12,500 (offers encouraged). 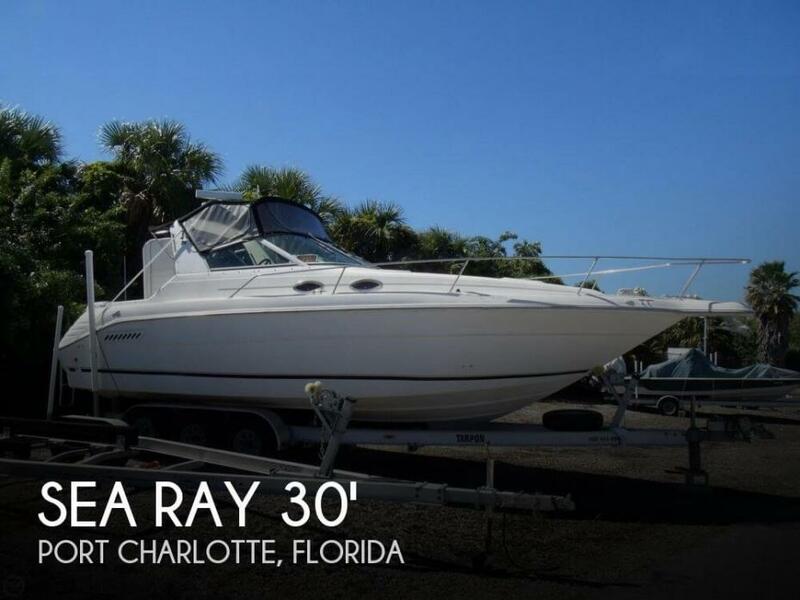 This boat is located in Jacksonville, Florida and is in decent condition. She is also equipped with twin Mercruiser engines that have only 50 hours. Reason for selling is no time to use. I did not find any major defects or issues with this boat. The gelcoat is in good condition. The Bimini and other canvas are in excellent condition. The vinyl is in good condition. All in all a good boat for the age. Seller tells me everything is operational and ready to go. Stock #111981 This boat has been professionally maintained! Ideal day boat or for weekend getaways. Very comfortable ride. If you are in the market for an express cruiser, look no further than this 1995 Sea Ray 300 Sundancer, priced right at $38,900 (offers encouraged). This vessel is located in Port Charlotte, Florida and is in decent condition. She is also equipped with twin Mercruiser engines that have only 37 hours. 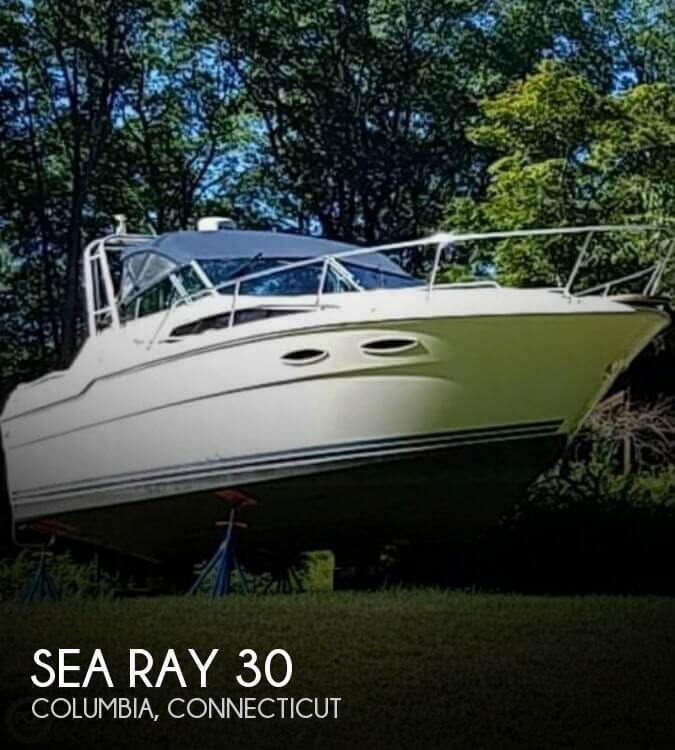 Reason for selling is seller is no longer using this boat. This Sundancer seems to be in good condition overall for it's age. The cockpit brightwork could use some refinishing to update it's look. The coaming pads need some repairing as well. The wood rails & trim if sanded and refinished would really bring it up to date. Exterior buffing and a polish for the beginning of the season. The interior carpet floor should be cleaned. the accent rugs on the wall area are in good condition. The bathroom is clean and appears to be in good condition with everything working. The appliances are functional and the galley area in clean as well. POP Yachts has not yet been on this particular vessel. All information in this listing is believed to be accurate and correct but at present time has not been personally verified. We encourage all inquiries and questions relating to the boat, it's present condition, accuracy of details including but not limited to it's location, engine hours, service history, listing status and features. Stock #053772 APRIL 2016 IN WATER NOW WAITING FOR HER NEW OWNER!!! SUNDANCER WITH A VETUS BOW THRUSTER!!!! If you are in the market for an express cruiser, look no further than this 1989 Sea Ray 300 Sundancer, just reduced to $14,495 (offers encouraged). 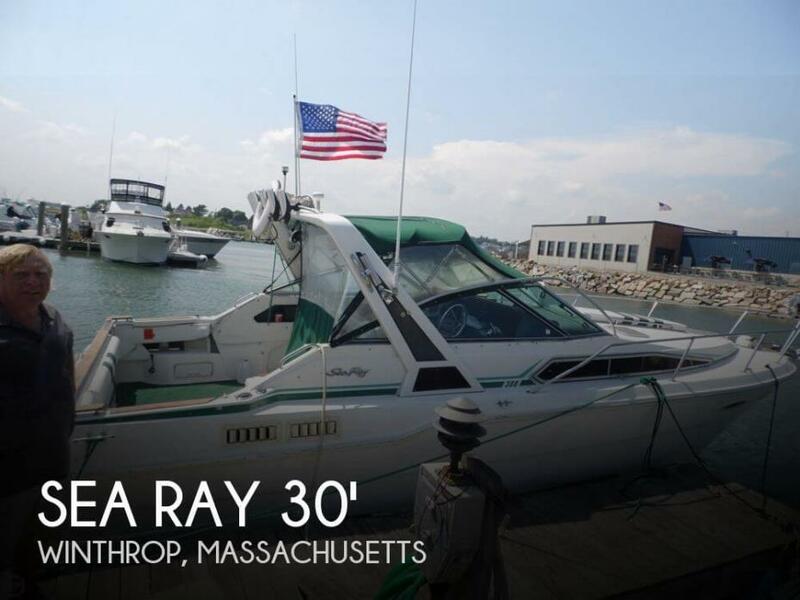 This boat is located in Winthrop, Massachusetts and is in good condition. She is also equipped with twin Mercruiser engines that have 1,400 hours. Overall Nice condition with light use on the engines. The seller reports all systems as operational and is currently using it in freshwater when not stored on the trailer. Reported continuous maintenance and upkeep as well as upgrades to the trailer for added peace of mind. Even the trailer has new bearings, new brake cylinders and new 5000 lb jack! Ready to go today! Our offers are fully contingent on an inspection so you can confirm its condition for yourself! Stock #152394 Best available! Low hours. Loved and maintained. Twin 5.0L Mercruisers and Bravo 3 drives. Generator, A/C, chartplotter. Aluminum trailer too! 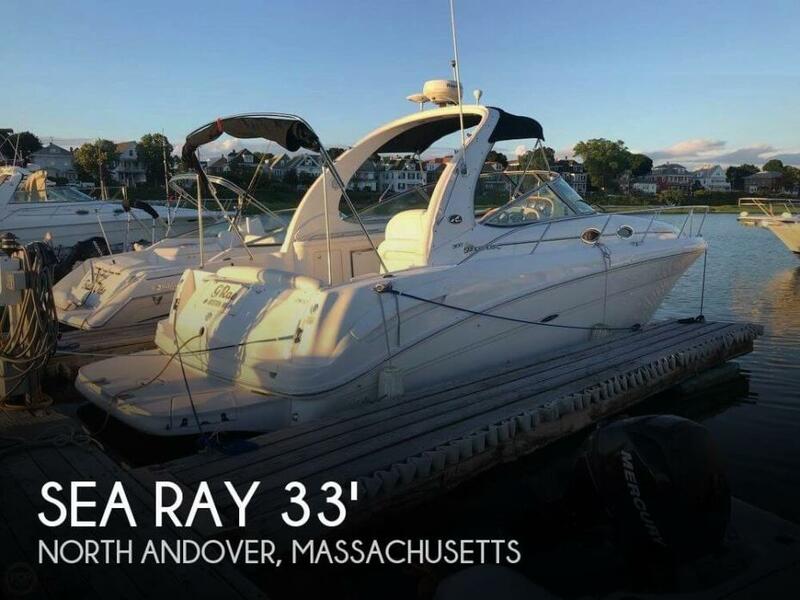 If you are in the market for an express cruiser, look no further than this 2005 Sea Ray 300 Sundancer, priced right at $80,000 (offers encouraged). This vessel is located in Sanford, Florida and is in great condition. She is also equipped with twin Mercruiser engines that have 337 hours. Reason for selling is ready to sell!. 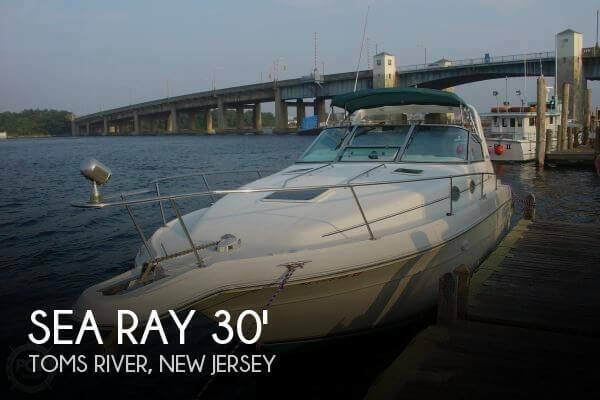 1987 Sea Ray 300 Sundancer has been owned by the seller for 13 years and maintained and serviced all equipment is operational. The few items of maintenance that needs to be done are being completed now by this owner. Stock #120106 1987 SEA RAY 300 SUNDANCER TWIN MERCRUISER'S WITH 260 HORSE POWER EACH If you are in the market for an express cruiser, look no further than this 1987 Sea Ray 300 Sundancer, just reduced to $22,500 (offers encouraged). 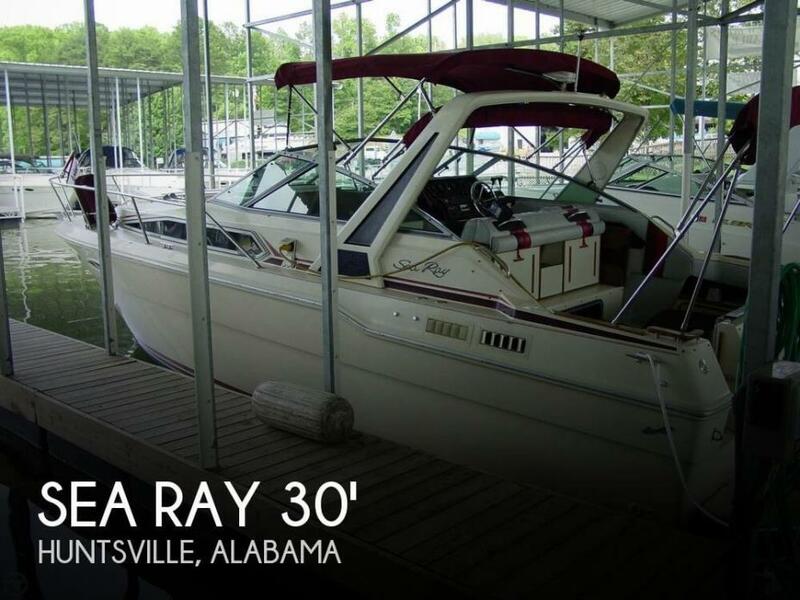 This boat is located in Huntsville, Alabama and is in good condition. She is also equipped with twin Mercruiser engines that have 660 hours. Reason for selling is doesn't use. 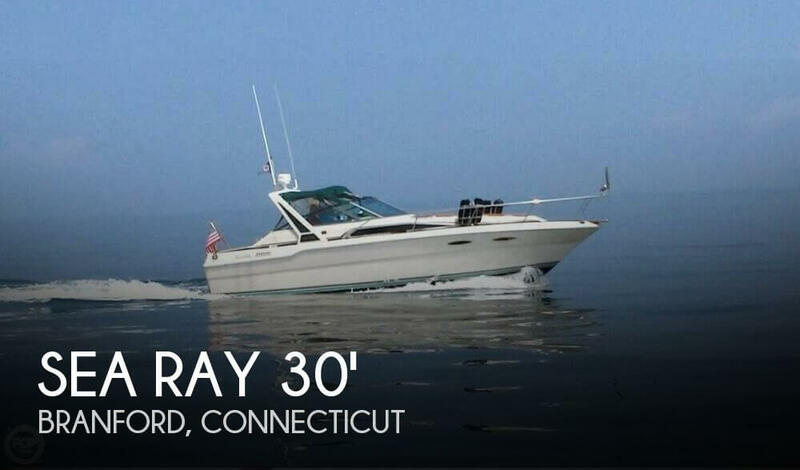 If you are looking for an express cruiser that should give you years of enjoyment then this 1986 Sea Ray Sundancer 300 should be your ticket. You really need to check this one out. I have not personally inspected this vessel. The features listed are provided by the seller and reliable online sources but please ensure that you verify any features that are important to your buying process. Stock #142272 Excellent condition 300 Sundancer! Enjoy year round cruising with air & complete camper cover! Both engines & generator recently overhauled! 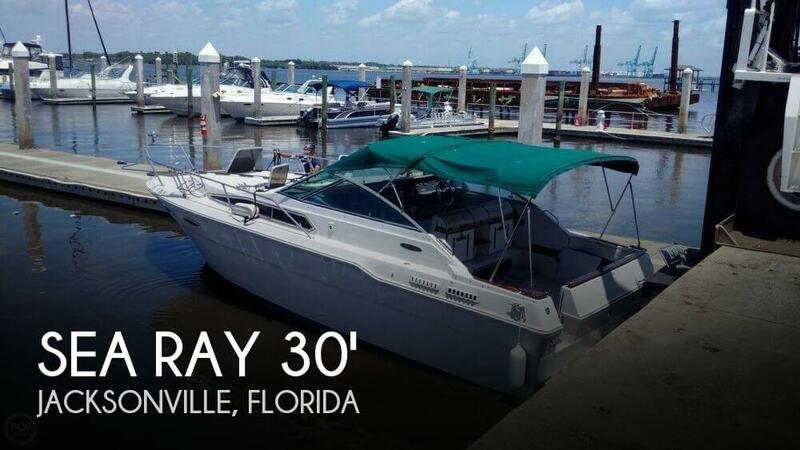 If you are in the market for an express cruiser, look no further than this 1986 Sea Ray 300 Sundancer, just reduced to $19,900 (offers encouraged). 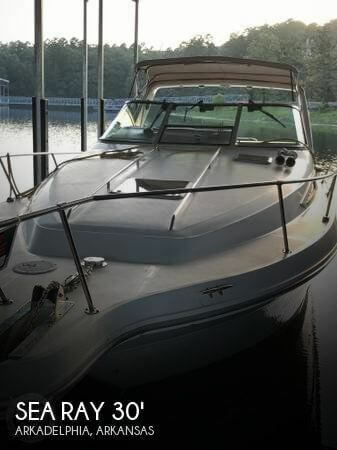 This boat is located in West Point, Mississippi and is in decent condition. She is also equipped with twin Mercruiser engines that have only 20 hours. Reason for selling is ready for new adventures!! !.